This month’s style inspiration and must-have accessory of the moment are these silk scarves by ACONAV. Fall time is the perfect season to add a silky scarf over a flowy blouse. Our must-have scarves of the moment are these 100% silk scarves from ACONAV by Loren Aragon. 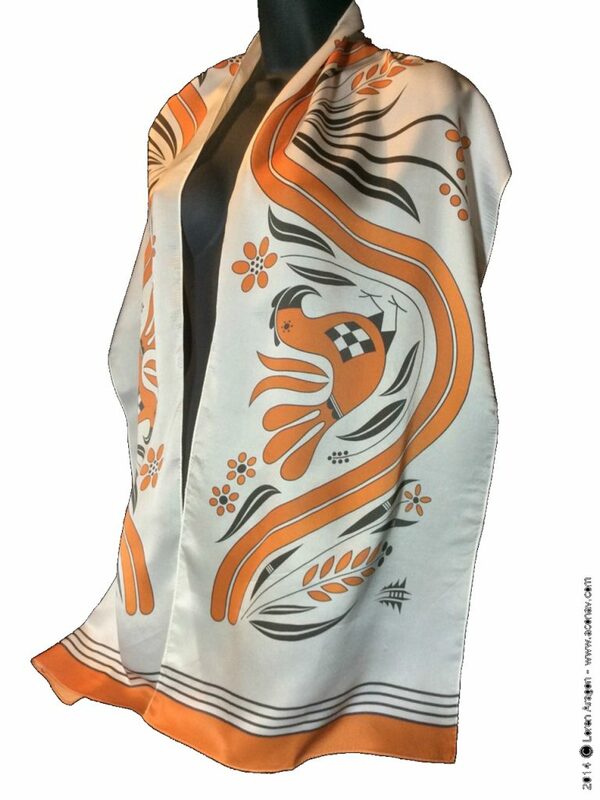 What makes these scarves stand out is not only does Aragon print designs on his material, but his Acoma Pueblo culture inspires the designs he incorporates on his pieces. In the Acoma Pueblo culture, the parrot is a symbol of the rain and the life it brings. Originally seen on pottery, the parrot is now available in a wearable art form thanks to Aragon.